(MARANA, AZ) – October 15, 2011 Conde Nast Traveler has announced the results of its 2011 Readers’ Choice Awards poll, and Arizona’s Ritz-Carlton, Dove Mountain has been named to the prestigious list for the first time. 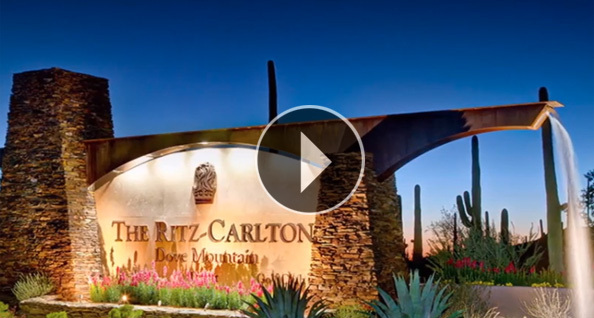 Located between Phoenix and Tucson on 850 acres of lush high Sonoran desert, The Ritz-Carlton, Dove Mountain golf, spa and adventure resort makes its debut appearance on the list as one of Arizona’s three top-ranked resorts for 2011. It also scores as one of the highest-rated U.S. resorts for The Ritz-Carlton. The winners of the 24th annual Readers’ Choice Awards represent the top destinations, lodgings and modes of transportation in the world and are voted on for their ability to exceed travelers’ needs and expectations. Individual hotels and resorts are rated on their food/dining, location, overall design, rooms and service. Award winners are derived from the Conde Nast Traveler Readers’ Choice Survey, the largest independent poll of consumer travel preferences in the U.S. This year, more than 28,000 readers voted. The awards can be found in the magazine’s November 2011 issue, on newsstands or download it here.